To provide a safe, supportive and structured environment to those seeking recovery from alcohol and other drugs. Today we operate three programs with the capacity to house 42 individuals and a beautiful log-cabin style Friendship Hall. We have nature trails, gardening, woodman’s workshop, greenhouse, exercise room and laundry facilities. We provide 24-hour supervision, relapse prevention education, substance abuse education, social activities, AA/NA meetings (on-site and in the community), and family/ community education. 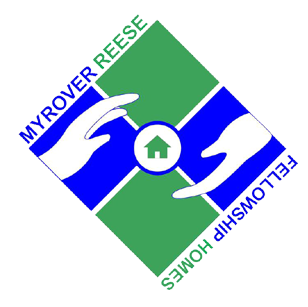 Myrover-Reese Fellowship Homes Inc. is a non-profit 501(3)(c) organization chartered and licensed to do business in North Carolina. We operate three halfway houses in Fayetteville, providing structured residential living for people in need of our help because of their addiction to alcohol or other drugs. We were chartered in October 1961. The first home located on Quality Road, was named the Flynn Christian Fellowship Home in honor of Father Flynn of Baltimore, MD who established the first halfway house in America. The name of our organization was changed in 1971 to Myrover-Reese to honor two local men (recovering alcoholics themselves) who were instrumental in establishing the facility. There was no definitive substance abuse program in local communities in North Carolina when we opened. We had no money, just a lot of love and faith. The people of Fayetteville and surrounding areas responded when we asked for food and money to keep the home alive during the first two years. Our fundraising efforts have continued to this very day to keep the homes open. Today we have three halfway homes and we have completed another vital part of the dream, the Bill Frye Friendship Hall. The three homes we operate are the Pat Reese Home (est 1991), the Ashton Lily Home (est in 1995), and the Myrover-Reese Fellowship Home (est 1968). It is important that you understand these homes do not belong to some private company. They do not belong to any local, state or federal government agency. They belong to people of Cumberland County and the Board of Directors act as the caretakers. There is no profit or financial gain for anyone on the Board of Directors. Almost all the money we receive goes toward the operation and maintenance cost of the homes and it’s programs.